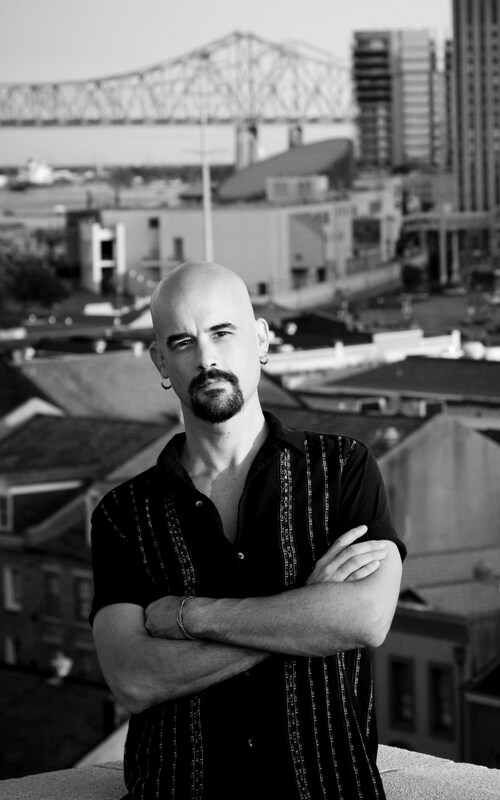 Bill Loehfelm is appearing at the first ever Yeah, You Write event, taking place at Tipitina’s on Thursday, October 13th. Peauxdunqian Emilie Staat asked Bill a few questions about his newest book, The Devil She Knows, and the best writing advice he’s ever gotten. Emilie: So Bill, in your other books, you’ve written about Staten Island and I wonder what it’s been like writing about Staten Island while living in New Orleans, living in this rich city? Bill: Well, it certainly provides contrast. Staten Island and New Orleans are not very alike. Also, being away from a place, it changes in your imagination. And so, I didn’t remember it exactly like it was. A lot of things got moved around and changed. It was a little easier, I think, to let my imagination run wild and to change things and make things different, than if I was walking out the door and seeing ‘Oh, this thing isn’t there.’ So, it’s a little easier, being away from a place. E: That brings me to my next question, because you’re currently writing a book set in New Orleans, correct? E: So now, you live in New Orleans and you’re writing about New Orleans, so we’ve lost that sort of time distance. So, what are the challenges, what are you enjoying about writing about New Orleans? B: Writing about New Orleans is a challenge, any writer will tell you that. I think part of what you have to do is not get caught up in writing about New Orleans and just write about where you live ’cause there’s so much cliché and there’s almost a standard repertoire of images and attributes. You have to let go of it, of trying to be perfect, and just let it be the imaginative New Orleans, rather than trying to make it the real New Orleans. Cause you’ll drive yourself crazy trying to get every detail right. E: That sounds right to me. 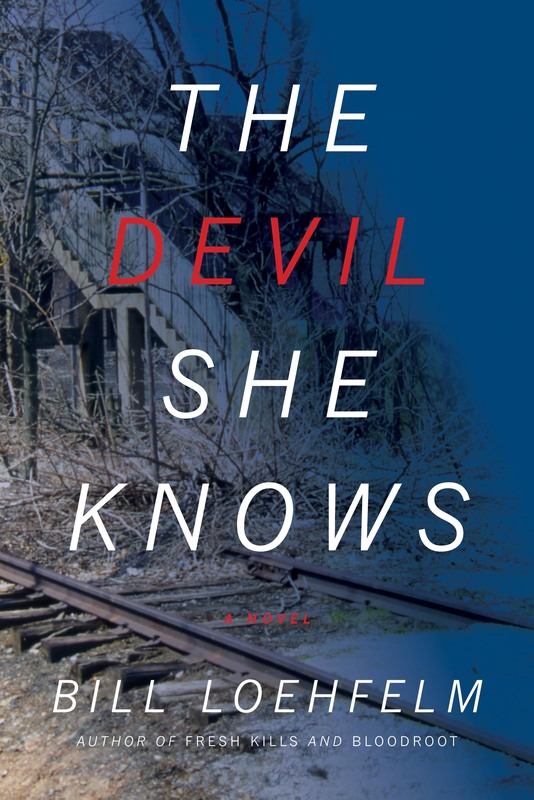 So, in The Devil She Knows, you introduce us to Maureen Coughlin. Where did she come from? I know I’ve asked you this before, but I’m just really fascinated by where she originally popped up, how much she’s changed since then, how she introduced herself to you. B: She started in a piece of flash fiction, about a woman at a bus stop in New York, standing there in a tuxedo in the middle of the day at a bus stop. You just start asking questions: “Why is she wearing a tuxedo, why is she wearing it in the middle of the day, why is she wearing it at a bus stop?” Yeah. She was going to work. She was either going to or coming from work, most likely at a diner. So that story was really the start and she kept coming back in different incarnations. Longer short stories, side character in other short stories. She had different names and she was a slightly different person. She finally coalesced into this full person in this book. E: What do you think it is about Maureen that was begging you to write about her? B: That’s a good question. I’m not sure, exactly. E: That’s why you’re writing about her – to figure out what it is about her? B: Yes. You don’t really know what she’s going to do or say next and you kinda’ get the feeling that she doesn’t. You have a character who’s really just making up a life as she goes along. She makes it fun to write about her. E: I don’t want to give away too much, but she chooses a life path, ish, at the end of the book. Did you know, beginning to write the book, that she was going to go down that path, from the beginning of the process, or did you discover that in the process of writing this book? B: No, I discovered that in the process. She makes a decision. This is the first book in a series, and she wasn’t supposed to be a series character. She was supposed to be the end. E: She was supposed to be flash fiction, right? B: Yes, yeah, exactly. She keeps demanding more and I keep giving it to her. Our relationship works that way. This was supposed to be a one-off, but she makes a decision in the book that led me to realize that she was a series character. E: The way you just described her, now I have to wonder, is AC, your wife, ever jealous of Maureen, because Maureen’s demanding more and more and you just have to give it to Maureen? B: Oh, no. No. Maureen provides well for both of us. E: So she provides as well as demands? E: That’s good. So, I was going to ask you two questions about being a writer. The first, because I know you’ve done a lot of other things, what was the most surprising thing to you about establishing a writing life, becoming a writer seriously? What surprised you the most? E: And it does take a lot of time, but what else would you say it takes, besides time? B: Discipline. Anybody can start a book, not everybody can finish a book. E: Good point. And the last question, what’s the best bit of writing advice you’ve ever been told or given or stumbled upon? B: Just to stick with it. Somebody described it as a craft-long apprenticeship. It’s your occupation. You have to be disciplined. And I guess the best piece of advice I got was you have to be the first person to take yourself seriously, ’cause if you don’t, no one else will. You can’t sit around waiting for someone else to decide that you’re a writer. You have to make that decision, that commitment, yourself and carry it forward from there. And not let anybody tell you differently. E: That’s a very good piece of advice. Well, thank you. We look forward to seeing you October 13th at Tipitina’s. B: I look forward to being there. This entry was posted in New Orleans, New Orleans Lit Events, Yeah You Write and tagged Bill Loehfelm, Emilie Staat, Funky Monkey, New Orleans, New Orleans Saints, Peauxdunque, Rue de la Course, The Devil She Knows, Tipitina's, Yeah You Write by emofalltrades. Bookmark the permalink. Awesome! We’ll get you a better microphone next time!